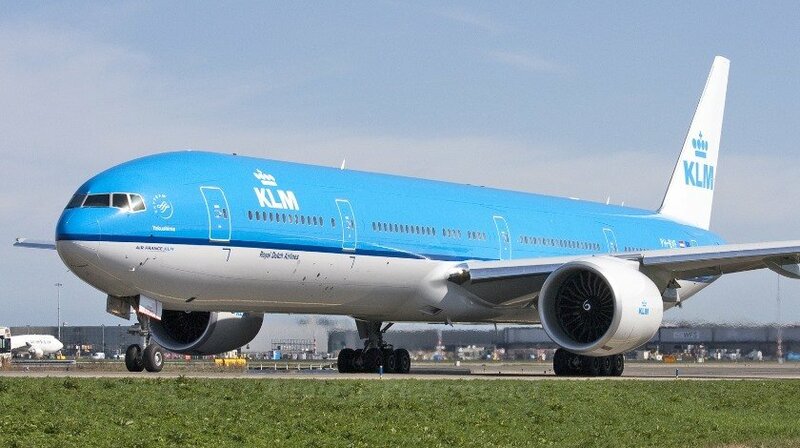 KLM Boeing 777, performing flight from Atlanta to Amsterdam, was enroute over the Atlantic Ocean when the aircraft suffered severe turbulence causing injuries to two passengers and two flight attendants. After assessment of the injuries the crew decided to continue the flight to Amsterdam, descending towards Amsterdam the crew requested medical assistance available at landing advising there was one should injury and one wheelchair being needed for transport. The aircraft landed safely in Amsterdam. The injured were provided with medical care at Amsterdam. The aircraft departed for the next flight about 5.5 hours after landing.